The Junior Nationals Draws together with the schedule have been announced. Kindly click on the following link and check out who you are playing and when…. National Coach Cyrus Poncha Marshals his Junior Squash Team to one of its Best Performances @ 2009 British Junior’s Open in years. India contingent comprised of players from Chennai, New Delhi and Mumbai truly representing the country. To read more please click below…. Entries for the U.P. Squash Championship close tomorrow July 21st, 2008. Please note that entries will not be accepted after 06.00 pm tomorrow – so if you and your wards have not sent in your participation please do so formally as has been suggested on the entry form. Please be on the look out for the Draws that will be posted on the following blog links. 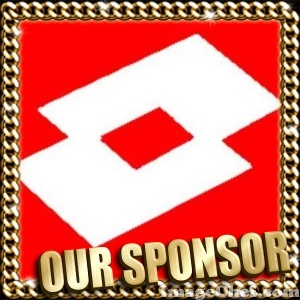 On behalf of the District Gautam Buddh Nagar Squash Rackets Association, affiliated to the U.P. 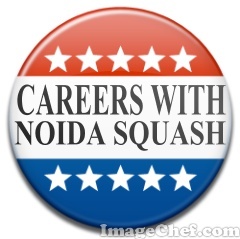 Squash Rackets Association and the Squash Rackets Association of India we would like to bring to your notice the following program for the development of the game in Noida for year 2008-09. Besides organizing tournaments, the association also proposes to support formal coaching camps and clinics for the children in Noida. Our first tournament is on from April 11th – 13th 2008 and we invite all to join in and make it a big. The district association would like to extend its support to all educational institutions, residential societies, sports and recreation clubs and squash enthusiasts to support our cause of taking this wonderful sport forward. PLAYERS WITHOUT PROPPER AGE PROOF (D.O.B. / SCHOOL CERTIFICATE) WILL NOT BE ENTERTAINED AND ALL SUCH ENTRIES WILL BE CONSIDERED NULL AND VOID. PLAYERS CAN PARTICIPATE IN A MAXIMUM OF TWO EVENTS AND NOT MORE THAN THAT. IF ENTRIES ARE FOUND TO BE LESS IN ANY AGE CATEGORY – TO ENSURE REASONABLE COMPETITION, PARTICIPANTS WILL BE MOVED INTO THE NEXT AVAILABLE AGE GROUP. PLAYERS WILL REPORT IN APPROPRIATE GEAR AND THEIR KIT MUST INCLUDE EYE PROTECTION WHICH IS MANDATORY DURING COMPETITON. ENTRY STRICTLY BY INVITATION ONLY – All players from outside NOIDA must have their entries endorsed by their respective District / State Association. 2. OUTSTATION PLAYERS – Rs. 100/- per event. No accommodation will be arranged for outstation players. No provision for transportation is being made for local players or those who travel from outside. ENTRIES that are late or without the entry fee will not be entertained under any circumstances. However, any decision in this regard will be taken by the tournament committee. Withdrawal from the Championship must be notified to GBNSRA as soon as possible by telephone, or e-mail noidasquash@rediffmail.com. In case of withdrawal the entry fees will not be refunded. 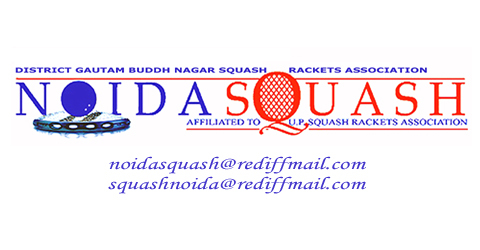 The Championship is being organised by the District Squash Rackets Association – Gautam Buddh Nagar (Affiliated to UP Squash Rackets Association & Squash Rackets Federation of India). 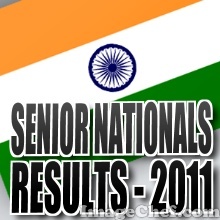 Matches will be conducted using the conventional scoring system. Played at 9 points per game and best of five games per match. What can SQUASH do for You ! The game of squash has convenience on its side – Thirty minutes on the squash court provides an impressive cardio respiratory workout. Extended rallies and almost constant running builds muscular strength and endurance in the lower body. Lunges, twists and turns increase flexibility in the back and abdomen. The game of squash also encompasses plyometric exercises which are aimed at reducing the amount of time spent on the ground preparing to move, with the primary emphasis of most exercises focused upon vertical and forward motion. In a game, the next movement could be in the same direction or in an infinite number of possible directions. The game of squash and its training drills hinges on eliciting a plyometric based stretch shortening cycle but then using this stimulus to isolate the multidirectional foot patterns specific to squash. To recreate “game play”, each drill mirrors a movement on court and as such is performed over short distances focusing on the development of both linear and lateral movements. To maintain your new found flexibility and reduce the risk of injury, it is highly recommended that you engage in a stretching routine of your major muscle groups before and after your game. AND IF YOU DID NOT KNOW SQUASH IS THE MOST FAVOURITE OFF-SEASONS FITNESS SPORT MOST SPORTSMEN PREFER. IT WAS THE SECRET OF KAPIL DEV AND NOW OF ADAM GILCHRIST’S PERFORMANCE AND FITNESS. THE LEGENDRY DON BRADMAN ALSO PLAYED THE SPORTS – SO YOU SEE IT HAS BEEN AROUND FOR MANY YEARS. MOST FIGHTER PILOTS PLAY THIS GAME – BECAUSE IT HELPS THEIR REFLEXES AND HAND EYE COORDINATION BESIDES GIVING THEM THE REQUIRED FITNESS IN JUST 30 MINUTES. No other sport can package in 30 minutes – workout for every major muscle group in your boday, taxed the cardio respiratory system, help flexibility while helping your muscular strength and endurance. But wait there is more playing squash regularly (2 – 3 times per week – 1.5 hours – nothing really!) significantly reduces anxiety, anger, and depression while increasing our sense of well-being. So let the endorphins flow!! What can just another racket game do? Squash is no ordinary racket game and is actually misunderstood by most. The following will suggest the lethal dose of anti-stress physical program it works on. Recently voted the healthiest sport by Forbes Magazine, squash ranked highest when measured against some fairly tough criteria, excelling in areas of cardio-respiratory and muscular endurance, muscular strength and flexibility, minimal injury risk and impressive level of calorie burn—almost 600 calories during a 30-minute session. Aerobic Fitness – heart works 80 % of its maximum rate. Continual playing without a doubt increases your aerobic fitness. Best tonic to the cardio-respiratory system of the body. Muscle Toning – All major muscle groups back, abdominal, arms and legs get into shape. Building muscle endurance and strength. Improved flexibility – to all major body parts. High calorie burning rate – 600 calories during a 30 minute session. Consider the kind of food habits and life-style that our families are used to today. If taught well – like most sports reflects true sportsmanship and humility. Improves reflexes – the speed and restriction gives sharper reflexes. Stress, anger Buster – the basic intensity of physical and mental play makes it the GREATEST stress releasing modern sports. Pressure at school and home accompanied by peer pressure is making lives of even our children extremely stressful. How many times do you have your children come and report their battles that they engage in on a daily basis. These citizens of the future have no patience and sense of self control and need serious attention from parents. Improved Concentration – the nature of the game demands high degree of concentration levels. It will surprise you to note that concentration levels increased by almost 25 % after taking to the game. Total physical work-out – because it is both aerobic and anaerobic nature. Reduces anxiety and depression and improves sense of well-being. Depression, incedentally is the 2nd leading cause of disability in America. Curretnly only 1 out of 5 adults are ever correctly diagnosed and treated – and only 1 out of 100 children – with increased pressures the Indian Society has already started feeling the pangs of depression. Exercise helps build and maintain healthy bones, muscles and joints – weight-bearing exercise (a racquet) helps prevent osteoporosis in adults! So much for the extra calcium that we give our children – give them a squash racket instead. BENEFITS FOR OTHER SPORTS – Something that trainers from other streams will realize once their ward has gone through Level – 1 training and in squash. Before we forget the most important of them – LESS TIME watching TELEVISION. Everybody especially parents today complain. What they do not realize that the Television has also become a tool for relaxation for the adults in the family and children by watching Cartoons are only following suit. This 24X7 media revolution is no blessing in disguise – because we fail to understand that without supervision and control there is a lot of nonsense that is shown on the TV. In the absence of a good regulator the content on TV is quiet questionable both for children and adults. Cartoon channels are uncensored and expose children to a lot of damaging information.With the small black ball traveling at 130-150 miles per hour I think it is no surprise the this is one game FOR EVERYONE especially the young ones because there is too much excitement in this then anyother game. “Squash is a fabulous workout in a short period of time. It requires a lot of different physical skills to be able to play at a decent level.” In the following Table published in the U.S. Forbes Magazine, Squash topped the top 10 of Healthiest Sports. 93 sports were assessed for their value in these critical measurements of health and vitality. Squash was in the top 10 percentile!